Harda: A goods train driver created a headache for railway staff when he decided to leave a goods train on platform no.1 at Harda station in Madhya Pradesh. Train was destined for Budhni in Sehore district. So what has made driver leave the train in-between? The distance to be traveled was just 100 km. But due to unavailability of assistant driver and lack of loco pilots meant that train couldn't move. 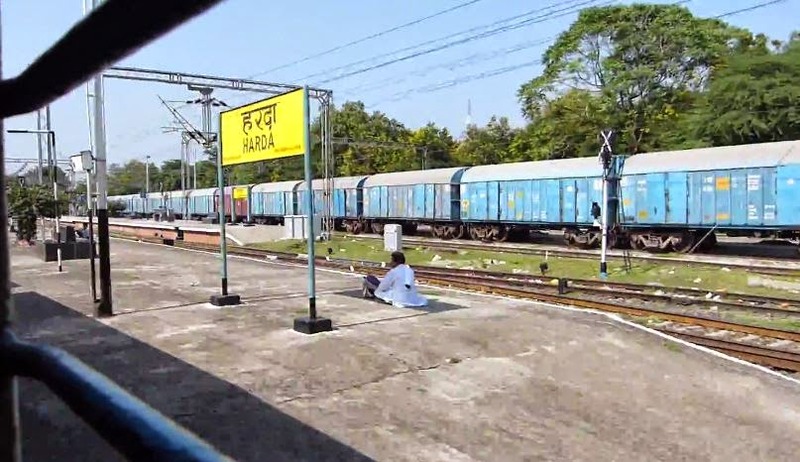 It caused delays to other passenger trains running on the route causing deep inconvenience to many passengers. It is unknown if railway would take any action against the driver. The local staff doesn't even know whether it is permissible under the railways code of conduct for drivers to leave a train like that. Few months ago a train, namely Karnataka express, skipped the same station leaving many people shocked. All in all it is quite common to see such incidents on not so common routes. As they say - "It happens only in India! ".